Three months after Beijing-based bike-sharing service Ofo discontinued its Israeli pilot in Ramat Gan, a Tel Aviv suburb, Beijing Mobike Technology Co. Ltd. announced Sunday it is launching its bicycle-sharing service in the town. 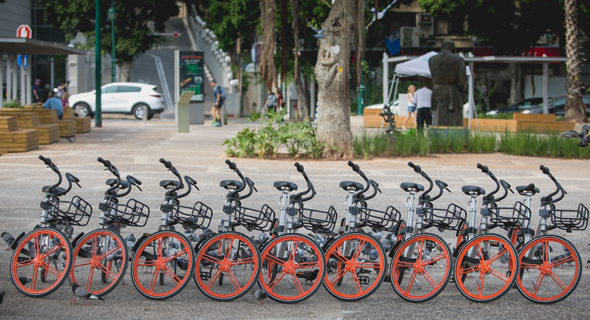 Operating in collaboration with Israeli car-sharing company Car2Go Ltd., Mobike launched its service in Israel in May with a pilot at Tel Aviv University. Mobike offers a station-free bike sharing service operated via a smartphone app. In April, the company was acquired by Chinese on-demand online services company Meituan Dianping, incorporated as Internet Plus Holdings Ltd., for $2.7 billion. Founded in 2015, Mobike is available in over 200 cities worldwide and has around 200 million registered users, according to company statements. Mobike first began operating outside China in 2017, offering its service in Singapore, Japan, Malaysia, Italy, the Netherlands, Australia, and the U.S.